Verified Supplier - Xuzhou Fanya Import & Export Co., Ltd. Verified Supplier - Shanghai Yongan Machinery Co., Ltd. Verified Supplier - Wuxi Piling Works Co., Ltd. Verified Supplier - Yantai Junheng Construction Machinery Co., Ltd. Verified Supplier - Jining Qingke Machinery Co., Ltd. Verified Supplier - Wuxi Jinyi Sanchang Machinery Co., Ltd. Verified Supplier - Jiangsu Juwei Machinery Co., Ltd. Verified Supplier - Wuxi Lydite Industrial Co., Ltd. Verified Supplier - Hunan Unicorn Machinery Co., Ltd. Verified Supplier - Yantai SS International Trade Co., Ltd. Verified Supplier - Nantong Jakarta Trade Co., Ltd. Verified Supplier - Qinhuangdao Sijiate Special Vehicle Manufacture Co., Ltd. Verified Supplier - Shandong Dingli Construction Machinery Co., Ltd. Verified Supplier - Xuzhou Reman Construction Machinery Remanufacture Co., Ltd. Verified Supplier - Xuzhou Hengxing Jinqiao Machinery Technology Co., Ltd. 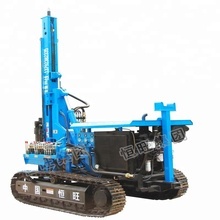 Verified Supplier - Zhengzhou Dingsheng Machine Manufacturing Co., Ltd.
Want product and industry knowledge for "excavator ..." ? 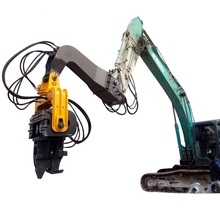 Do you want to show excavator mount... or other products of your own company? Display your Products FREE now!